Temptation removed, you can thank me later. So I picked up the ERPoE-5 last night from @Blanch and set it up using this tutorial along with the UAC-AC Pro I picked up at the weekend. 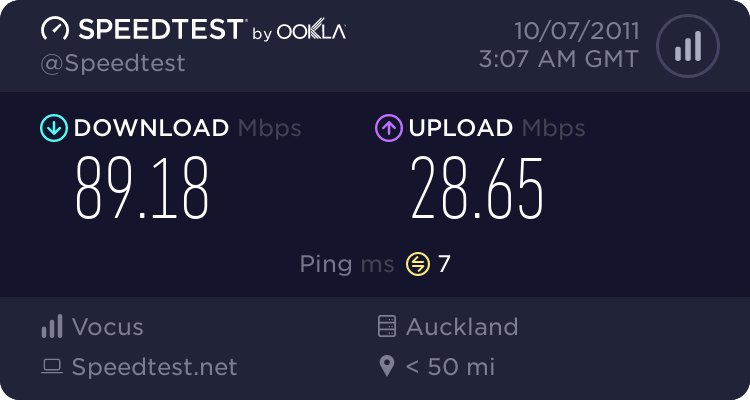 I'm still on VDSL so I have the Spark supplied HG659 bridged into the router. With this temporary setup in the living room with the AP sitting on the floor next to the HG659 I'm already getting much better wifi coverage of the full house with speed drops in the far bedrooms less than half what they were using the wifi on the HG659. This is just with the basic set-up without optimising the wifi settings yet. When the switch arrives I'll move everything to the garage in a cabinet and mount the AP more centrally in the house, then the process of running Cat 6 back to the living room and other rooms where I want wired ethernet. Happy days. Thanks @michaelmurfy for the tutorial. [PPPoE] Fixed bug that caused PPPoE client interace failure if username contains forward slash character. Discussed here. [L2TPv3] Fixed bug that caused L2TPv3 interface to be excluded from bridge group after reconfiguration (e.g. source port changes). If none of these affect you (or worried about security etc), then I would ignore. Why go for the USG then? Wouldn't an EdgeRouter be the far better choice - you can hack away at that for ever in a day. @Senecio You just need a Cisco Console (rollover) serial cable. Ask in the "Offers and Wanted" thread and I am sure you'll get a response quite quickly. Yep, that's exactly the one. There's a lot of people on here using UBNT gear so I thought someone might have one lying around. Looks like Techexpress are the only place that stock them as I've tried PBTech and Jaycar. [User account] Disabled shell access for operator user. From now on operator user will have only WebUI access. If operator user will try to access shell (via SSH or telnet) then error message "This account is currently not available" will be displayed and access will be denied. We decided to decrease operator user privileges for security reasons. [Kernel] Fixed boot error messages which were seen on ER-X with new NAND flash modules. Apologies if a dumb question, but as I am intending to configure my new Edgerouter POE5 this evening I will ask anyway. My new ER POE5 has an RJ45 Console port, as a result I would have thought a rollover cable with two RJ45 connectors rather than Serial/USB would have been better? Or is the USB/RS232 end of the cable mentioned required for the non switch device that is being used to do the configuration? Got basic config working over weekend using port 0 and Michael's great tutorial, getting some expert help in tonight for VPN/DNS config. Was concerned we may have needed consol access as well without having time to get the cable. I obviously have the ONT plugged into Eth0 and its VLAN10 tagged hence "vif 10".